The 21st anniversary of EDC Las Vegas is hitting the Motor Speedway from June 16-18, 2017. 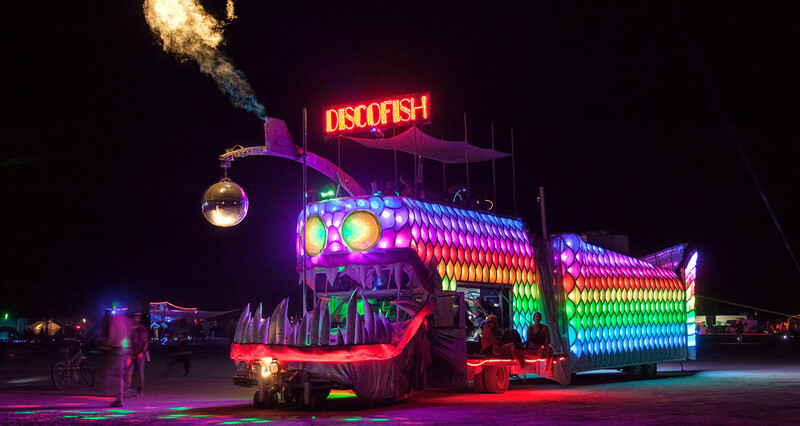 Once again, the highly-anticipated Art Cars and their coinciding lineups have been announced. In addition to the already-announced 230 artists to dominate the eight stages at EDC, the moving Art Cars offer an unparalleled music experience–on the go! Eight industry leaders on this year’s roaming Art Cars will come from the likes of Alan Walker, Autograf, Bonnie X Clyde, Dirtyphonics, Gareth Emery, Delta Heavy, and more, including unexpected and surprise performances all weekend long! Afrodisiac, Brandon Elliot, Chris Jay, Dillon Nathaniel, FlashGang, Freefall, Hotfire, Hush, Johnny Darko, Josh Billings, Missy B, Moni, MSCLS, Neon Black, Nonfiction, Oscure, PW Jones, Real Deal Montiel, Roy Wilkins, Ruff Hauser, RYBO, Thomas Garcia, Trouble and Wood Holly. Mikey Lion, Lee Reynolds, Marbs, Porkchop and friends. Conro, Delta Heavy, Dirtyphonics, F*CK Salt b2b Botne, Gareth Emery, Grant, Orri + Friends, Tokyo Machine and Unlike Pluto. Alan Walker, Andrew Luce, Autograf, Bkaye, Bonnie X Clyde, Justin Caruso, Paris Blohm, The Lifted, Xan Griffin, and many special guests. 219 Boys b2b Grensta, Assembly, Jace Mek, Kyle Walker, Lassi, LondonBridge, Swage, Taryn Manning, YDG. Barakuda, Brian Senient, Celestial, Emok, Kromagon, Samtabul, Smoke Sign, Spyros, Swell, Triceradrops.